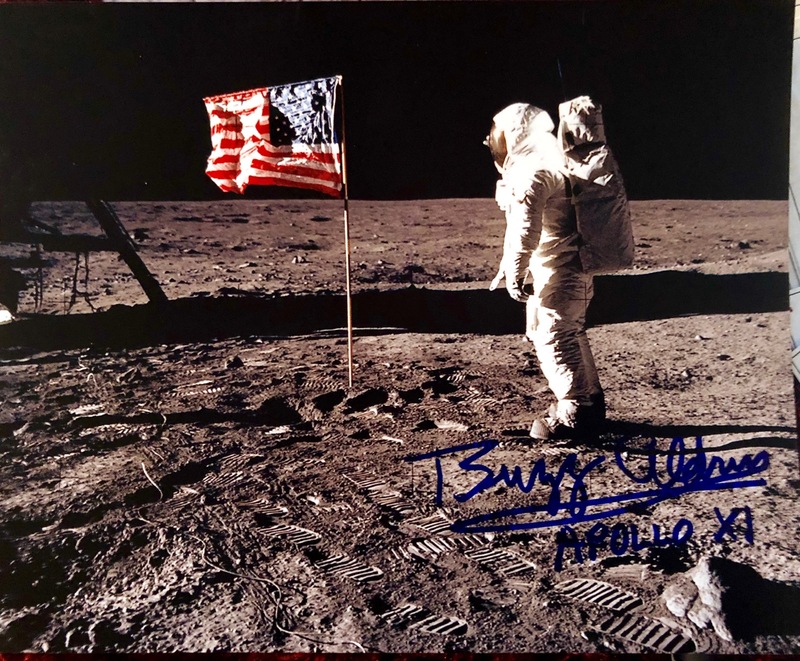 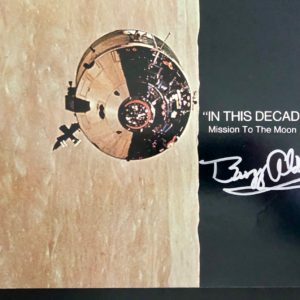 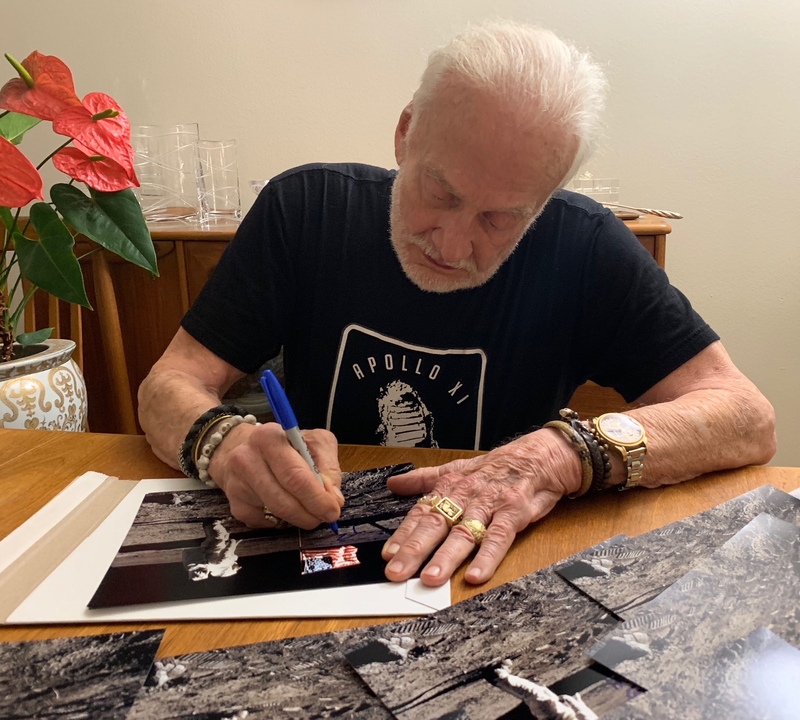 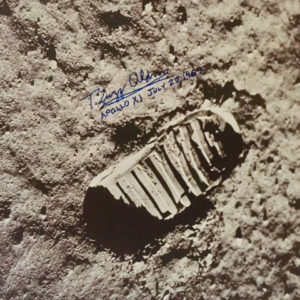 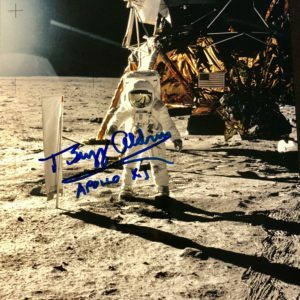 This 8 x 10” Autographed Photo of Buzz Aldrin Saluting the American Flag on the moon during his Apollo 11 mission is a must have! The flag, although held straight by a horizontal crossbar, it is still crumpled from cold, ‘hard vacuum’ stowage in a lander compartment. 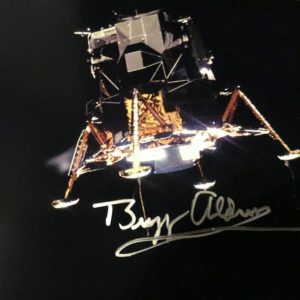 The remarkable and reliable lunar lander itself is at left.